I have been searching for a long time a natural deodorant that really works and that I can make myself. … and in the evening you still smell good. Or at least as good as using a classical deodorant (which is not always the best choice either). But… at the end of the day I and my clothes still smelled unpleasant. And after sporty activities or in a hot weather, even worse. I do not sweat a lot – actually, almost not at all…. however all these deodorants just at the end of the day failed. And then, I found ZINC OXIDE aka ZnO !!!!! For a week we (me + my fiancé) have tested the pure zinc oxide powder as deodorant and we were very happy about its performance. However, it was during the week, and we work sitting in our offices, so no big deal. Moreover, we did not like the powder form, which is difficult to apply. I prepared a sunblock cream with 30% Zinc oxide for testing purposes and we used it also as a deodorant. The test that persuaded us was the climbing of La Berneuse (2045m), Switzerland, 12:00 – 19:30, full sun, 25°C in shadow – with the absolute elevation gain of 700m, in total 1000m. Success: 100% – at the end of the day we both smelled only the white tea fragrance I added to the cream. The recipe that will follow is not the same as the one I used for sunblock recipe, as for deodorant I do not have to add all the expensive ingredients that are not necessary for deodorant. The new version of the deodorant is as efficient as the “sunblock” version (have been using it for months since daily). I prefer this recipe over my stick deodorant recipe. The active ingredient there are baking soda, which should similarly to zinc oxide neutralize the short fatty acids responsible for malodour, and the antibacterial essential oil. I do not say it does not work at all …. I say that it smells bizarre at the end of the day – maybe because of present butters and oils, that are decomposed in advantage to our sweat. More baking soda could help, but as it is never 100% dissolved (it dissolves in water, not in oils) , it creates friction and in consequence a skin redness already in small quantities… In comparison, Zinc oxide is very fine and can be added in a quantity up to 30% (maybe more, but not necessary). I was afraid that zinc oxide will stain white my clothes, but my worries turned out to be totally unjustified. First, I was afraid and put the deodorant before dressing up, waiting it to dry while I brushed my teeth. With time I became lazy and applied it when dressed… guess what – nothing changed. If you pay attention, the clothes are not stained outside and the very little that is stained on the inner side is very easily washable. In comparison to my stick deodorant, which actually stains my clothes to yellow, this is really negligible. This deodorant has a cream consistency. I prefer it this way. First, when water phase is present, you can easily disperse zinc oxide in it and the smaller quantity of oils is advantageous – any possible decomposition/oxidation is much lower and it does not grease the clothing. Kanda, F, Yagi, E, Fukuda, M, Nakajima, K, Ohta, T, Nakata, O. Developmenot f a novel hybrid powder formulated to quench body odor, J. Soc. Cosmet. Chem. 40, 335-346 (1989). Södeberg TA, Sunze B, Holm S, Elmro T, Hallmans G, Sjöberg S. Antibacterial effect of zinc oxide in vitro. Scand. J. Plast. Reconstr. Hand. Surg. 24: 193-7, 1990. Kanda, F, Yagi, E, Fukuda, M, Nakajima, K, Ohta, T, Nakata, O. Elucidation of chemical compounds responsible for foot malodour, Brit. J. Dermatol., 122, 771-776 (1990). This entry was posted by evik on October 5, 2012 at 22:21, and is filed under body, deodorants. Follow any responses to this post through RSS 2.0.You can leave a response or trackback from your own site. Hi Lula! Yes, I had this idea too, but unfortunately… the % of zinc oxide is somewhere between 15-20%, which i not enough, you need around 30% for the cream to work as a deodorant… Also majority of these ointments uses mineral oils and emulsifiers I would not use in my creams. Well I just re-made my Zinc oxide deodorant and you know what – my recipe contained only 19% of zinc oxide overall! So finally, a good diaper rash cream can work pretty well… 🙂 Thanks Lula for your suggestion! Didn’t know you could use zinc oxide for this! I thought it was only used to make sunscreens. I think I have a new project, thanks for the info! Hi Mony, you can use any type of preservative that is suited for emulsions, just keep the percentage recommended by the manufacturer. I’ve also tried this with a 18% cream (normally for diaper rash). I will make my own so I know it has safe ingredients. But, to be honest, the ingredients look better than my normal deodorant. So, lotion with about 25% solution, such as some tanning lotions or diaper rash lotion, placed on a 10 inch by 10 inch patch on your body (645 cm2), would absorb 3.2 mg of zinc per hour. I’m guessing that it would absorb for at least 3 to 5 hours before there is very little left on the skin. So, one application under your arms, for instance, would be enough zinc for the day. But you would have to use more surface area to correct for a deficiency. I also noticed an incredible surge in libido. I think I had a zinc deficiency. I tried taking zinc pills but noticed nothing. I did the cream under my arms and noticed on day 1. I love it. I just add enough Body Lotion (the wateriest I can find) to the Magnesium Oxide to form a paste and add some drops of essential oils. And that is it – deodorant that lasts for the whole day (and then some)! Hi Joana, this is very interesting! 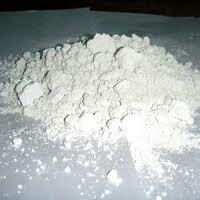 I never thought about magnesium oxide, where can you buy it? I thought about it after using Milk of Magnesia for almost a year as my deodorant. The last time I bought magnesium oxide from iHerb, online. I still have to try Magnesium oil one day, though. I heard some people saying that also works really well! I see, thanks! Magnesium oil – aqueous solution of magnesium chloride – hummm – the question is if it works better than magnesium oxide. Let me know! Hello evik, It’s the same Joana – I just don’t remember what e-mail address I used last time, so my avatar may be different. Sorry about that. I just wanted to let you know that shortly after the last comment I left here, I tried to make a magnesium oxide deodorant in liquid form. I simply grabbed an empty roll-on deo bottle (the same one I used to use to apply the MoM, haha), filled basically 1/3 of it with magnesium oxide powder (properly sifted), added the usual essential oils and then filled the rest with orange blossom water. You just have to shake well before applying so the magnesium powder will mix with the liquid again. I just have to add enough moisturizer or vegetable oil to my armpits before applying it (you can also add the oil direct to the recipe) so my skin won’t get dry and the magnesium powder will stick to the skin, which is very important. If I get white spots on my armpits after it dries (it often happens), I just blend with fingertips and the spots disappear (it will finally blend with the moisturizer/oil I applied before). It doesn’t get sticky nor makes me sweat more, in fact the magnesium oxide already absorbs enough sweat by itself. I tried the magnesium oil as well. But unfortunately I didn’t like it; it just didn’t work at all. Now maybe other brands could be better, I don’t know. Hi Joana, I really like the looks of your recipe – SIMPLE! Do you think I could mix magnesium oxide with coconut oil and arrowroot power for the added bacterial protection and dry protection? I don’t want to use a body lotion as I am allergic to quite a few things and coconut oil works well for me, but I have been using the baking soda recipe and boy do my underarms burn! Also, did you have a time period where you had odor anyway until your body got used to the magnesium oxide? Thanks for your assistance. Hello Gail, It’s the same Joana – I just don’t remember what e-mail address I used last time, so my avatar may be different, haha. Yes, you could definitely add coconut oil and arrowroot powder. I once added dolomite for dry protection; it works fine. No, I didn’t; The magnesium oxide has been effective from the start. It only depends on how much you add to your recipe, and how much of the final product you apply. You’re welcome. If you ever try making it, let us know! Hello, I use the magnesium oil as a deodorant. Would mixing in zinc oxide into this oil be a good combination, or would I risk blowing something up in my kitchen? I’m so happy I found your blog today. Thank you for the wisdom and advice. Thanks for any guidance that you might be able to give about the best type of zinc oxide! Has anyone considered adding colloidal silver to their deodorant recipes? I use both zinc oxide along with the silver and some coconut and castor oils. A very small amount in the entire container should prove effective for any antibacterial purposes! I used a bare minimum recipe of just coconut oil & zinc (non-nano). My left underarm is in pain, like when I’ve used commercial deodorant & it blocked my sweat ducts. Any thoughts? I apply it rarely. Would the other ingredients prevent this? Hi Dan, coconut oil is clogging the pores. Try any other oil or butter (except for palm kernel oil or babassu oil which have very similar composition as coconut oil).